When you pick up your tournament game score sheets and dissect them move by move, like a bug under a microscope, you'll come to understand that every game has a story secretly woven between the moves and hidden away from plain sight. Such stories or lessons are not uncovered unless a passionate chess player starts to analyze the games and review his or her decision-making process. It is then that a chess player starts to value the wisdom of a loss more than all those glittering trophies adorning his cupboard. In this article I combed through all those tournament games I have played over the last fifteen years and picked out specific tactical blunders and the lessons hidden behind them. I wanted to begin with the worst blunder of my career and the story behind it. About 9 years ago, when I was around 2100 ELO, I played a rating tournament in the busy metropolitan city of Bangalore in India. The week before the event, I had finished second in a rating tournament and was excited to play another tournament in succession. In the third round, I was paired with a much younger opponent, a kid, probably nine or ten years old. Although the tournament was in classic time control, I blitzed through the opening moves eager to be the first to win, but ironically I become the first to lose when all the games were going on in the venue. In the below position, I played black and had two pawns extra with a solid position. I played Nb4. Do you see what went wrong here? I failed to spot a simple checkmate in one move that my little opponent had hatched for me. I fell. Qh7 and the little kid screamed "Checkmate!" I wasn't sure whether I should cry or laugh. Never to under-estimate anyone. (Or over-estimate, in case of strong players). I realized that one has to play with the same level of seriousness against all players - strong or weak, in all positions - be it winning or losing. A bit of seriousness and dedication always helps you unleash your full potential. Observe the position properly before making a judgment. Look for threats and counter plays that your opponent might have at his/her disposal. Mindset and attitude play a great role in the outcome of a game. With this mix, I would include emotions as well. Fear can make you choose cautious replies or delay attacks; sadness, often from losing a game or two can spill its darkness over upcoming rounds and excitement can make you feel over-confident of your own abilities. It' always good to be aware of your emotions so you are not overpowered by them during a game. Miscalculation: Knowing all the factors, but reaching the wrong conclusion. In the below position, I calculated the problem with Bishop takes h7 for white and was planning to counter it by playing my Rook to e8. That would give me enough time to defend my King and could have prevented the lethal sacrifice. But then I thought "Why not take on c3, create a weakness for white and then play Re8" but it proved to be disastrous. I played bxc3 but my opponent didn't have to take it back. He played Bxh7 followed by Qh5+ and Rf3 giving me a short game to grieve about. It was a loss in 17 moves! What I missed is my opponent's other candidate moves for bxc3. Thinking in a straight line can be bad. Sometimes we have to pause and see if there are better moves (candidate moves) for both players. The other factor that must be honed in the process of calculation is the concept of depth - see ahead more moves. By solving chess problems every day in a systematic way, a player develops his ability to calculate systematically. 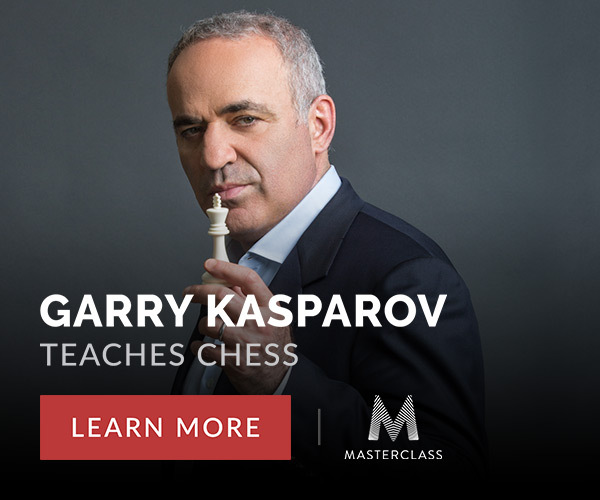 The classic "Think like a Grandmaster" by Kotov touches the same topic. Perceptual mistakes: Learn to see (observe) before you learn to calculate. In December 2016, American Grandmaster Timur Gareyev played a record 48 opponents simultaneously without a sight of the board. Despite the incredible 1536 chess pieces he had to keep track of, he managed to win 35 games, draw 7 of them and lose only 6. He was able to perceive the pieces and visualize their moves and relations successfully without sight of a chess board. This skill of perception either helps or hinders a player's progress, depending on how well it is nurtured. In the above game, I played the awkward looking Rook to b1. The problem with this move is that the Bishop on d4 is no longer supported. The lesson? Being able to visualize the position of the pieces, their relations like threat and protection will greatly reduce such oversights. Visualization is a skill that can be developed through daily practice and there are many tools available a google search away. Failing to spot opponent's idea: Sometimes we fail to see that there's another chess player right opposite to us, also thinking about the same position. He may have ideas of his own. When we fail to see the ideas/plans of our opponent, we get surprised by stronger moves that we should have considered. A few years ago I played against an International master and reaching an exciting attacking position. I sacrificed a piece and eventually reached the above diagram. I was black and it was my turn. I thought about the position and concluded that I will win anyway and that there was no use thinking about it further. My opponent though took at least 30 minutes to carefully study this position around this time. I played Bh1 expecting my opponent to play something like Kf2 and had calculated a long mating sequence. But to my complete astonishment, he played d5!! I totally overlooked this move. The pawn had no scope with the black Bishop on d5, but without the Bishop, the pawn did have an extra move. I realized that the only best move would have been Re2 with a draw by repetition. Some hard lessons, I later realized, come only through experience. Tactical mistakes: Tactics can be as simple as pattern recognition. Hidden tactical ideas in the hands of our opponent are something to worry about if one doesn't understand the idea behind it. Pin, skewer, double attack and many more tactical ideas and their complex cousins can be studied in books (Anthology of Chess Combinations is my favorite) or several websites like Chess Tempo, Chess24, Chess.com, etc. I played black in the above position against another International master (now Grandmaster) in the year 2007. We played a complex Dutch defense game which resulted in the above position. I was slightly better and had the upper hand because of White's weak King position. But I overlooked a possible tactical counter-play when I moved my Knight to f6 in this position. Many beginners know what a pin is, but to be able to apply them in complex positions come only by practice. My opponent played Rook takes Knight and only then did I realize that my queen can be pinned the next move. My position deteriorated and I resigned after a few moves. A blunder can be painful, but behind the pain is a lesson you can learn if you analyze your games carefully. Every game has a story to tell. Don't miss it. If you liked this article, don't forget to share it with you friends. Meanwhile, click the below image to check out our exclusive collection of wooden chess sets for your next tournament!